This third collection of songs consisted of a four-song, 16-minute acoustic outpouring in the spring of 1993. The original pressing has long since been extinct, but in the early 2000s we were able to properly remix and master this little quartet of ideas for a box set culling hard-to-get songs and bonus tracks from our early catalogue. These four songs have resided exclusively on said box set for the past sixteen years. We think it’s time to let them live a life again as a stand-alone endeavor for digital download. echolyn and the organizers of ProgStock are disappointed to announce that echolyn will not be able to make their return to the live-stage this fall – headlining Saturday night at the ProgStock 2017 festival in Rahway, NJ – due to a recent medical diagnosis in the band. While preparing for their upcoming performance, Chris Buzby (keyboards/vocals) had been experiencing severe pain in his left wrist/hand, which has now been diagnosed as tendinitis. He has been put on a 6-8 week recovery plan of limited mobility to halt more damage and maximize recovery. The band members are deeply sorry to share such disappointing news (especially at this time), but Chris’s recovery is paramount and takes priority. ProgStock and echolyn worked together to find a viable and appropriate way for the band to press on, but that has proved impossible for this year's festival. As always, the members of echolyn appreciate your support and understanding. The ProgStock Family unequivocally stands behind Chris and fully supports the decision that echolyn has made at this difficult time. 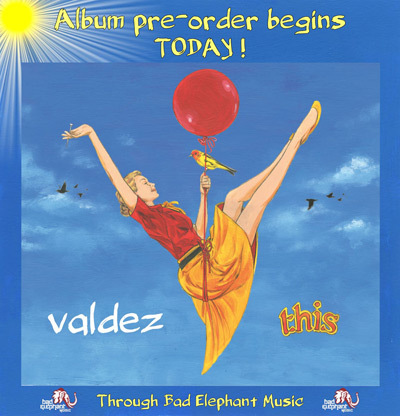 The debut album by Valdez, entitled THIS is available for pre-order today. Click upon the link below. The path to enlightenment awaits. We entreat you to share this post and buy the album for the good if all human kind. Now if you'll please excuse me, the doctor has arrived with my medication. 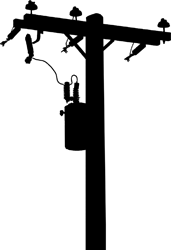 echolyn is confirmed to be playing progstock during the weekend of october 13-15th, 2017. As we approach the end of another year I wanted to say a sincere thank you for the support and interest in our music over the years. Creating music is a cathartic, enjoyable activity for me. This is amplified greatly because there are people across the globe that seem to also enjoy it and find connection with the music... or at the very least talk about our songs. This does not go unappreciated by myself and my bandmates. Creating music is wonderful, but having an audience to connect with because of the music gives monumental dimension to the music’s purpose and intent – at least in my mind. So, 2016? I’m sure you all have stories, memories, and anecdotes reflecting the past year. I graduated back in August with my B.S in Behavioral Science. Who would have thought I’d get an undergrad degree at my age? It seems that serendipitous encounters have also allowed me to continue on for a Master’s degree in Education in the coming year. Luck or a deterministic universe? I feel lucky sometimes. How was your year? I miss you. Yes, we’ve had a nasty presidential election here in the States. It was inevitable, given the enormity of global change happening in all aspects of our lives. Of course this is another whole discussion and one that has (in a sense) prompted me to study human behavior; I won’t digress. I sincerely hope everyone is ok – wherever you are. We’ll get through this. We need to stick together, not cause harm to one another, and remember that despite our differences we have way more in common – psychologically and physiologically – than not. Be well, be kind. Let’s stay in touch and talk. What else? I’m releasing my third collection of songs. I’ll hit you up with details in the next week. So............2016 huh? I will dub thee the year of work. Never have I ever worked as many hours as I have this past year. What have I been doing while working all these hours? I am a guide [CNA] for those in transition from the hospital to home, from home to our facility, from our facility to the end. As far as the music goes I am putting some new ideas together that I would like to release in the spring-ish. Until then it's business as usual. Enjoy the season and make your time count. Hello everyone. Thank you from the bottom of my heart for the many years of love and support. Your open ears have kept echolyn's music alive for well over 25 years. Personally, your friendship has been a gift that has kept on giving for me – since joining the band in 91. 2016 has left us with many losses, including that of my father who passed in March, as well as many questions and fears about where the world is headed. However, I am hoping in 2017 we are all able to focus on those near and dear to us and keep moving towards greener pastures in our personal lives. Rather than letting the air horn of fear that has plagued 2016 turn us against each other, instead we can start talking to each other as fellow human beings and not socio/political demographics or Facebook trolls. Be less fearful that Big Brother is watching and instead focus on the fact that Little Brother/Sister is listening and learning from our example. The arrival of my girlfriend Aprille's beautiful grandson, Gavin, has given me a new purpose in life. He has motivated me to push myself harder and open my heart wider. I have been truly fortunate to have Aprille and her family welcome me as if we have been together for our entire lives. I am also grateful that the loss to my family has brought not only my family and friends closer, but has shown me friends and support I never knew existed. My newly found optimism has found its way into my career as Clinical Trial Initiation Specialist. I have been working towards being an advocate, in what capacity I can, for patients enrolled in clinical trials. I assure that they are aware of the details and rights they have when enrolling in clinical study. My career in pharmaceuticals has taken a on a personal role these days and I hope I can have some impact on making people’s lives better in whatever way I can. Safe and Happy Holidays to all of you and your families! A huge THANK YOU and shout-out to our echolyn friends & fans around the world. We hear you listening and are inspired by your many posts, comments, shares & likes on social media ~ reminding us that we have left a legacy of music that both moves, and inspires, others. For that we are truly thankful! 2016 has been a pretty magical year for me personally, as I feel I have arrived at the point in my life where everything I have worked hard for is confidently, and passionately, firing from all engines. Like a well-oiled machine, my work, personal and music lives are all intertwined as one. A highlight for me this past year was receiving the Metropolitan Magazine's 2016 'Best People' Reader's Choice Award as Best Teacher on the Eastern Shore from Berlin to Ocean City, MD ~ a humbling testament to the hard work I pour into my job every day as a music educator. I really love my "new life" in Delaware, as for the past 2.5 years my beautiful wife Alison and I (and our 2 Whippets/dogs Mona & Abe) have been living full-time in a sleepy little town called Selbyville, situated just north of the Mason Dixon Line, on the Eastern Shore. 10 miles from our home are the beautiful beaches of Fenwick Island & Ocean City, Maryland, so when the days get long a 15-minute car ride clears the head with walks on the beach and sunrises & sunsets that rival any along the eastern seaboard: a Lower Slower lifestyle, indeed! In my third year as Middle School (MS) & Upper School (US) Choral & Instrumental Music Director at Worcester Preparatory School (WPS) in Berlin, Maryland, my days are both full and fulfilling. I started a brand new Instrumental (Band) Program in the MS (6th Grade) last year, and in less than 2 years over 90 MS students are now playing a woodwind, brass, percussion or keyboard instrument = a great sign for the future of the band program that I hope one day boasts both Concert Bands & Jazz Ensembles at the Middle & High School levels. Finally, on the echolyn front, I am very eager to hear final mixes of Brett's newest solo album. I spent 2 days with him at his home studio in late August laying down piano/keyboard tracks on multiple songs to some beautiful new music he has written for release in 2017 as his third solo effort. While echolyn did not find its footing in 2016 for any new music or projects as a band, I am eager and So Ready for what lies ahead, as I know we all have new musical ideas teeming about on our own individual musical Islands. I hope 2017 has much love and joy in-store for our planet, as we have never needed it more. May you each find everything you want and desire in the days and year ahead!